Aaron was raised in a small town in New Hampshire, growing up with an entrepreneurial spirit; creating and working in a variety of small businesses. When his parents moved to Arizona in 1995, Aaron followed and settled in Scottsdale. In 1998, Aaron met his wife Tanya and she soon started a small business. Aaron helped Tanya with her business and discovered a love of helping other people with their business challenges. 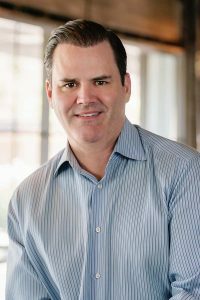 After years of running a construction and home renovation company, Aaron decided to attend the Sandra Day O’Connor College of Law at Arizona State University in order to work with businesses as an attorney. Upon graduating, Aaron accepted a position at Kahala Brands, one of the world’s largest franchising companies operating over 3,000 global units, with such brands as Cold Stone Creamery, Pinkberry, Baja Fresh, and Blimpie. Aaron spent years helping franchise owners and the business units inside Kahala Brands with a variety of legal matters, including corporate governance, shareholder relations, dispute resolution, legal entity creation and structure, and drafting and revision of a range of agreement types: franchise, asset purchase, license, distribution, non-disclosure, purchasing, and divestitures. Aaron recently joined Ogborne Law in order to help clients with a range of legal matters relating to creation and operation of businesses, with a focus on assisting clients to protect their personal and business assets with the proper legal structure and documentation. Aaron also works with many businesses in serving on the advisory boards of construction and technology companies.